Stamped concrete is an incredibly versatile way to achieve a high-end finish, without blowing your budget. 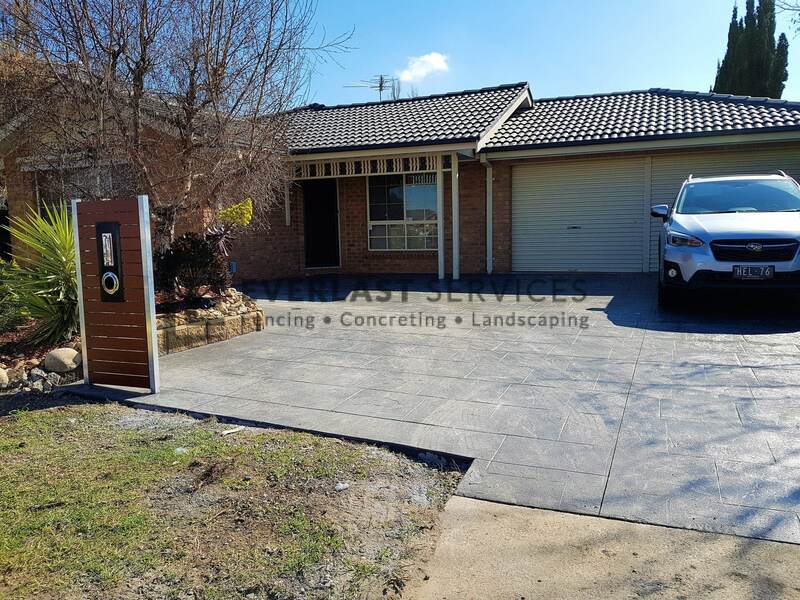 Stamped concrete, sometimes called textured or imprinted concrete, allows you to replicate stone, slate, brick, tile or even wood whilst enjoying the legendary durability of concrete and without having to deal with the hassle and cost that the original materials carry. 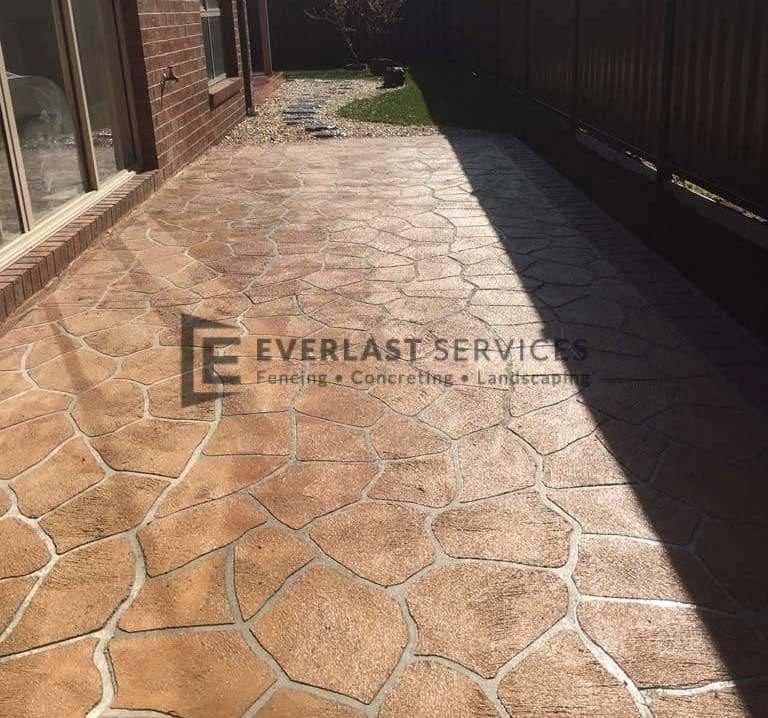 It is perfect for all applications, from driveways and paths, to outdoor areas and patios – with stamped concrete the possibilities are endless. 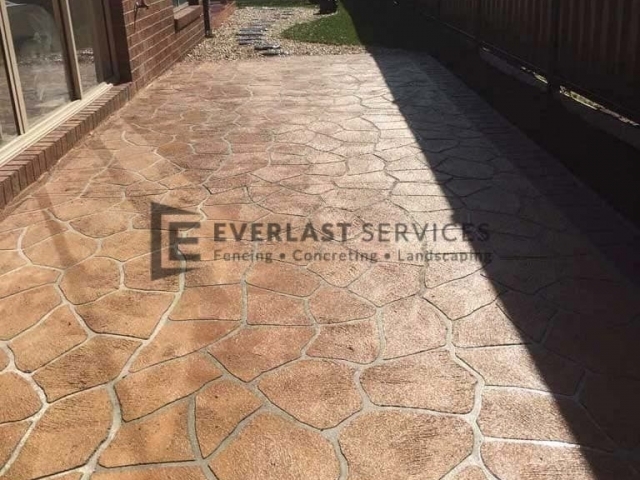 Our skilled concreters have been armed with 20 years of Everlast Services experience and expertise, meaning you’ll get the perfect finish for your property, every time. High-end on a budget: Creating a brick patio involves a lot of labour and a tiled pool area is an enormous investment. 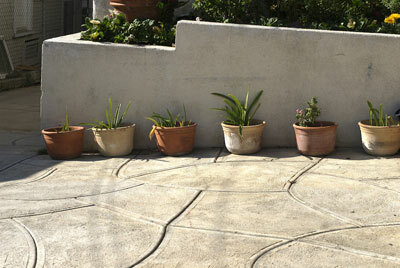 Stamped concrete allows you to achieve all these looks while still managing to keep the costs down. Durability and style combined: A slate driveway looks fantastic but you can’t rely on it to stand up under extreme weather conditions and high traffic. If one part of the driveway has been damaged you will have to replace the whole thing at an enormous cost. Stamped concrete gives you the look you want and a product you can rely on for decades. It will also stand up under any weather, which is incredibly important in Victoria’s temperamental climate. Easy to maintain: Don’t put yourself through the trouble of having to re-grout your tiled alfresco area, or pull weeds from the cracks. Stamped concrete only requires a sweep and hose down every now and it will stay looking good as new. Flexibility: This durable building material can be combined with exposed aggregate to give a completely unique look. If you want to make your concreted area truly your own we can even use stencils to imprint the concrete with your own, individual design. We only use top shelf materials, including our choice of sealer. By using a quality sealer we can ensure that your concrete will last for decades without any further maintenance. With over 20 years in the industry we have been involved in all types of concreting jobs. We will be able to offer advice as to what is the best option for your needs and the type of texture and imprint that will suit your area. We value our customers and like to keep you informed at every point of the job. We will be upfront throughout the entire process and will honour every promise we make. 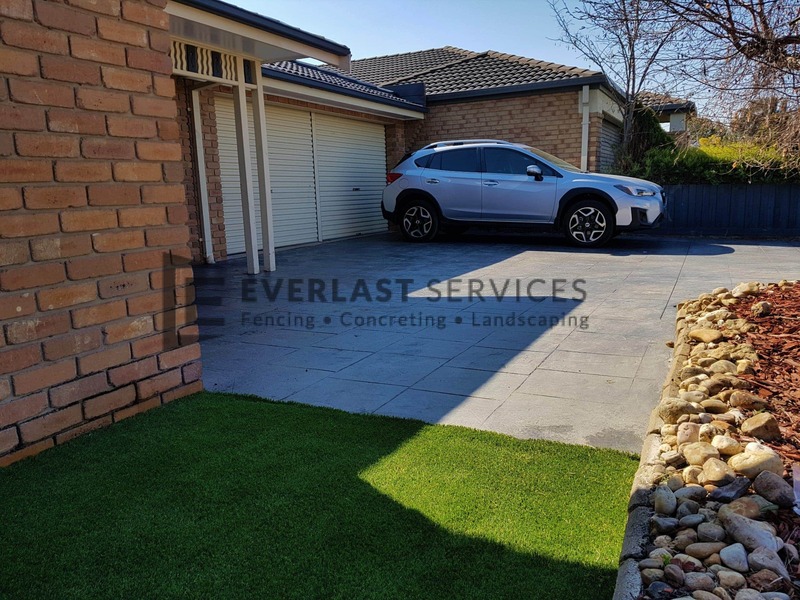 We also provide landscaping and fencing services, so we can take care of every aspect of your back and front yard needs.